You work hard to keep your property in good shape. Like your appliances and home systems, the asphalt on your property requires routine maintenance and occasional repairs to stay safe, attractive, and usable. So when do you need to schedule a repair rather than a resealing or paving? 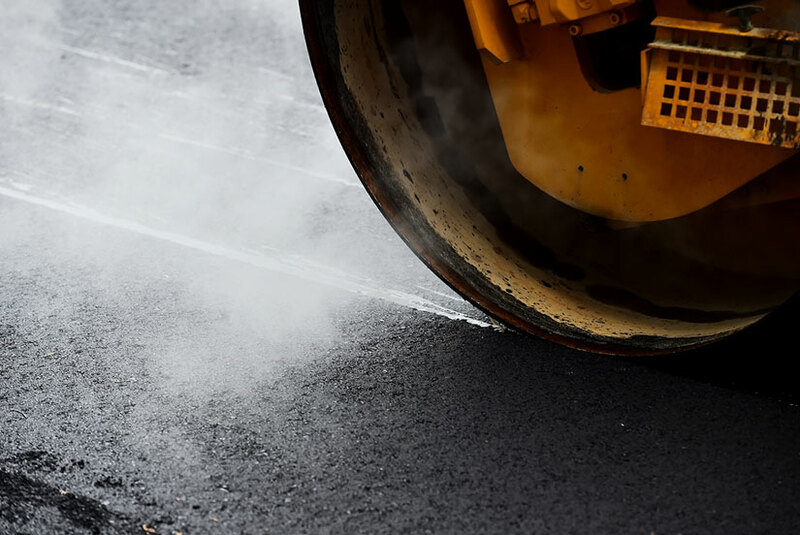 In this blog, we list nine signs you need asphalt repairs and should have a contractor restore your asphalt. 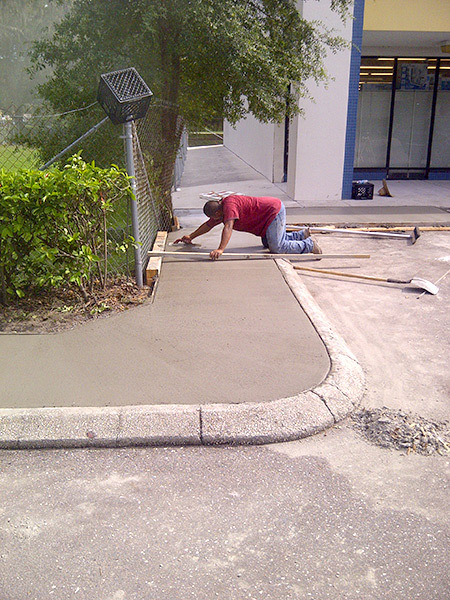 Alligator cracks are shallow surface defects that often span a large area of pavement. These cracks may resemble a web or an alligator’s skin, as the name implies. 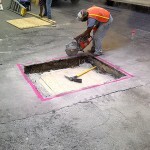 Often, alligator cracks require full depth reclamation of the affected asphalt. 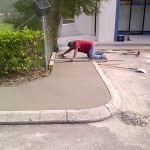 Contact a asphalt and concrete services contractor to access the situation. Look at the surface of your pavement. Does the asphalt appear level and even or can you see wavy sections? Warped pavement can happen due to an insufficient or compromised base, and/or heavy vehicle use. Often, the area can be leveled up with asphalt. 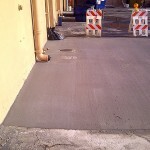 On the other hand, sometimes both the asphalt and base will need to be replaced. 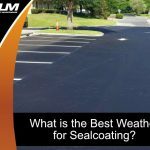 Lingering moisture is one of the worst threats to healthy pavement since it can seep between layers and affect the binding agents. If you notice puddles in your parking lot or driveway, consult with a contractor about parking lot drainage. Leveling these problem areas reduces the risk of cracks, potholes, and other damage. 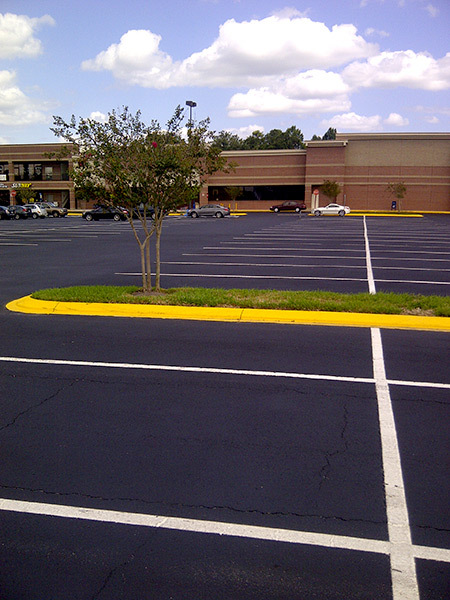 Over time, sunlight and frequent use can turn your pavement from black to gray. 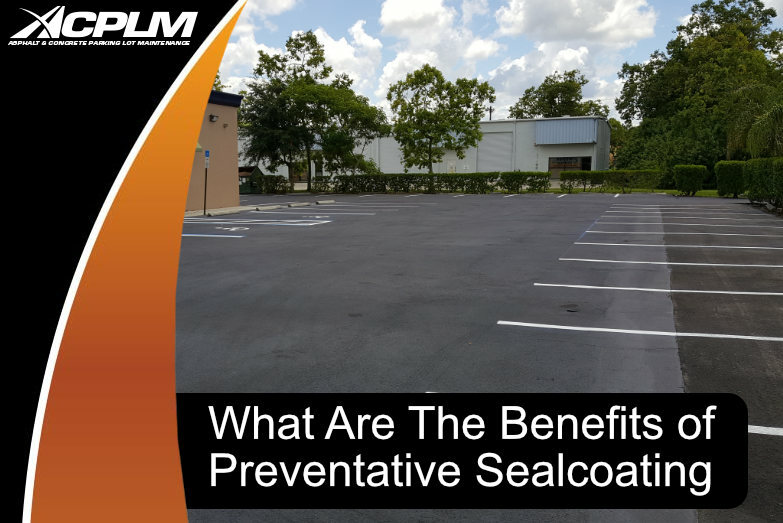 Older pavement is more susceptible to cracking due to its increasing brittleness. Strategic repairs and regular sealcoating can protect this faded pavement from more extensive damage. Some pavement cracks do not need immediate repair. However, if you notice that a crack is widening quickly or measures wider than 1/4 inch, call in a contractor. 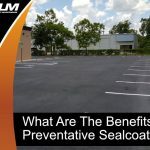 Asphalt patching or filling these cracks early on can increase your pavement’s lifespan in the long run. 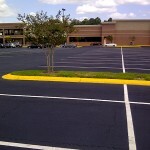 Asphalt pavement sits on crushed stone or a compacted base. 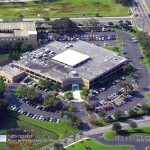 If this base begins to erode, you may notice sinkage, especially near buildings and other structures, such as carports. Sinkage often indicates that your downspouts are depositing water too close to the structure, increasing the impact on the pavement below. You may need gutter repair in addition to asphalt services. Chemicals, including automotive fluids and industrial solvents, can eat away at the binding agents used in asphalt. 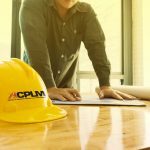 If you notice a chemical spill or a stain, talk to a contractor. These spills continue to sink into the pavement and expand outward until they’re addressed. 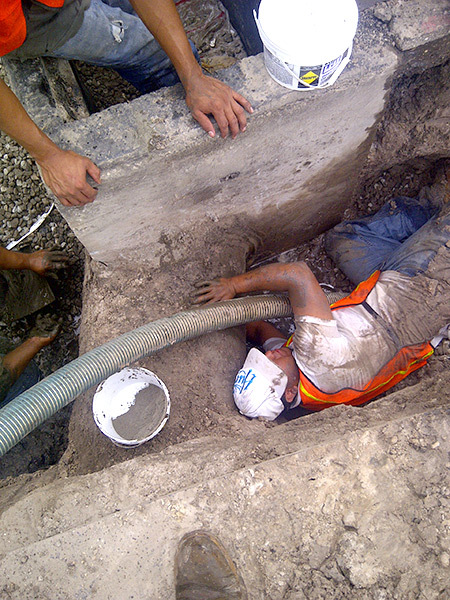 Undermining typically occurs when an underground pipe has cracked or slipped its joint. Also, sometimes an underground pipe comes loose from the drainage structure. 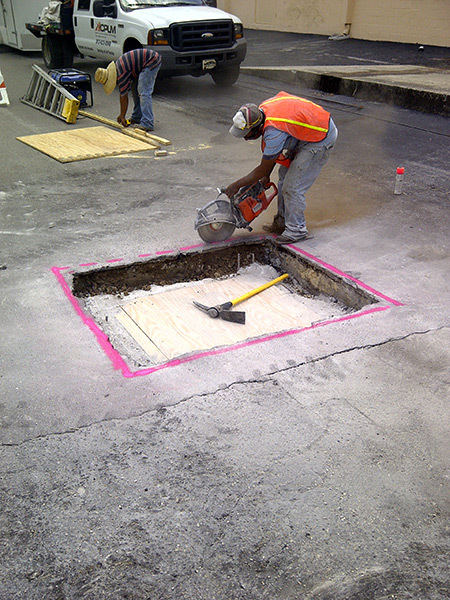 When this happens, the crack begins to allow the soils above it to enter into the pipe until the area has undermined the asphalt surface above. Often, a contractor can dig down to the problem area and if the problem is minor, fix it and then replace the damaged base and asphalt. Parking lots and roads that are not protected on their edge with concrete gutters or curbs can experience crumbling edges. These deteriorating edges can break apart and leave debris. 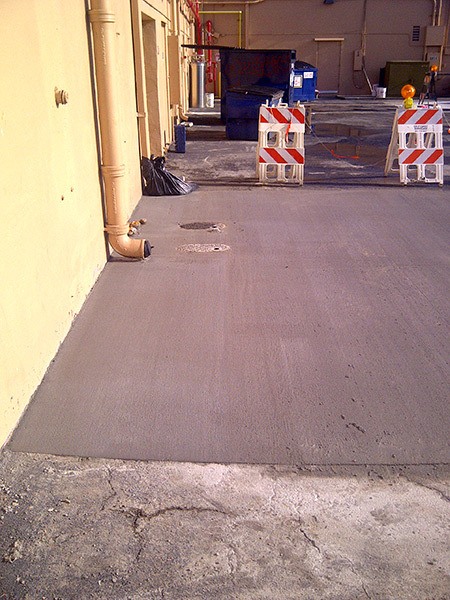 Usually crumbling edges require removal and replacement of the affected asphalt. If you notice any combination of the above signs you need asphalt repairs, schedule the necessary asphalt repairs as soon as possible. 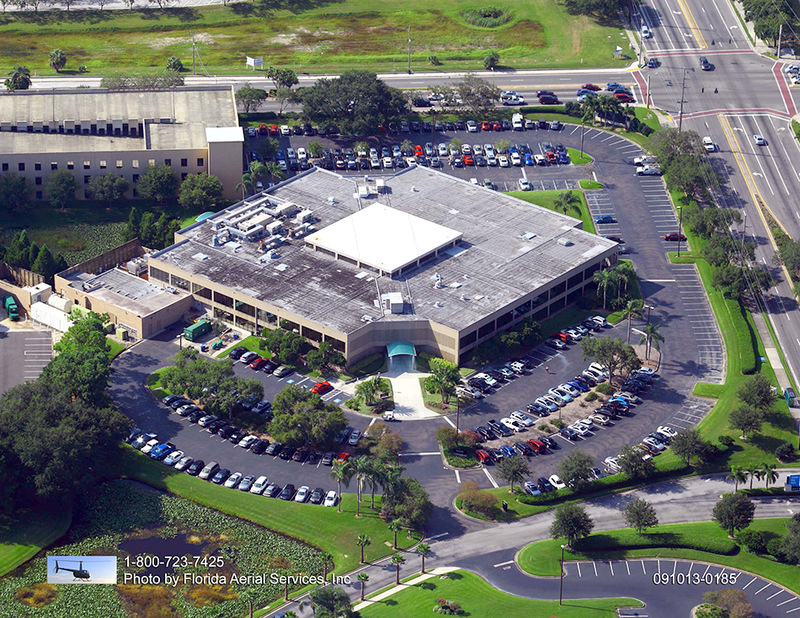 Early repair decreases the risk of vehicle damage, large holes, or asphalt replacement. 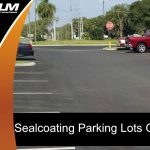 Talk to the team at Asphalt and Concrete Parking Lot Maintenance to determine how best to repair and restore your parking lot, driveway, or private road.